Fabric requirement and suggested supply list are also available as well as some quilt planning tips and a coloring page. 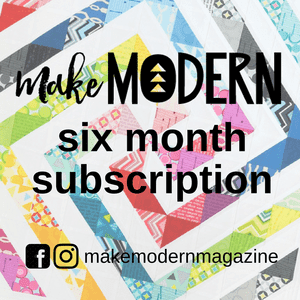 And if you want to join the QAL but don't want to paper piece, hang on until next week - the word quilt will be available as both paper pieced blocks and traditionally pieced block! 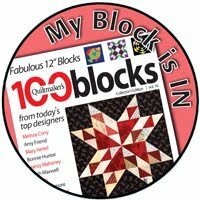 You'll need to print off three (3) copies of the pattern sheet in order to make the five (5) blocks of the letter e. Each of the letter e blocks will be trimmed to 5 1/2 x 4 1/2 '' and will be 5 x 4 '' in the finished quilt. If you are a beginner paper piecing, read through the tutorial. 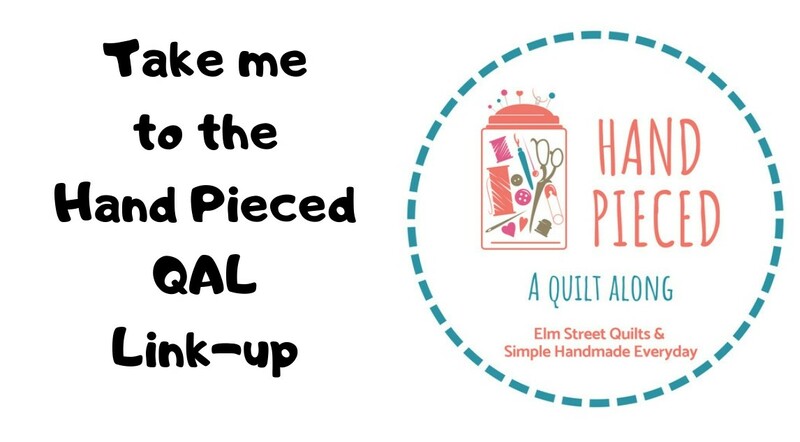 Drop any questions into the comments or come join us on the Elm Street Quilts QAL Facebook group. You can also find a lot of great tutorials all over the web. The small e pattern sheet will have two copies of the letter e on a single sheet of paper. Note- this tutorial uses foundation paper. You can use ordinary copy paper but it will be more difficult to tear after the block is complete and will require some care to remove. The solid lines in the pattern are the stitching lines. The cutting lines will be a light dashed light 1/4'' outside the solid lines. You'll trim your block to the cutting line once you finish paper piecing. And, as you can see, the letter is printed reversed! Your fabric will be on the blank side of the paper and you'll sew on the printed side of the paper. When you flip is over, all will be well! Cut the two letter e's apart so that your pattern piece is just a little bit bigger than the cutting line. As you look at the pattern, you'll notice that the sections are marked A1, A2, A3 and so on. These numbers represent the order in which you will paper piece the letter e. See the area inside the dashed lines marked in the photo below? That is the A1 - a piece of the e that will first be sewn to the A2 - a piece of the background. Pieces that should be the background shows up colored white on the pattern and the pieces for the primary color - i.e. for the letters - show up as gray. You probably noticed the pin in the photo above in the A1 slot - it is holding the very first bit of fabric in place. Holding it up to the light, you can see that my piece of red fabric is completely surrounding the A1 section with an approximate 1/4'' overlap (or more). Place the very first piece right side facing up (photo on left with red pin). The wrong side of the fabric will be facing down, backed against the paper. Pin the fabric for A2 - the background fabric - to A1, right sides together. Align the left edge where the seam will go for each piece. (Reference photo on right with white pin). Note, only the very first piece of fabric is placed with the right side of the fabric facing up. All other pieces are placed with the right side facing down resulting in right sides together for the pieces you are sewing - just like if you were seaming a traditional block. Set your sewing machine to a stitch length of about 1.4 and sew directly on the solid line between A1 and A2. Take a stitch or two to either side of the line. Flip over and lightly press open with an iron. You don't need to trim your pieces to the perfect size ahead of time - you will be trimming each step and everything will have a 1/4 '' seam when you are done piecing the block. To trim the seam, you'll need two items - a ruler and either a postcard or a piece of thin cardboard. You can trim with a typical ruler (scroll down for photo) or you can trim with a special Add a Quarter (Inch) Ruler which had a edge or lip on the ruler to hug the postcard. First, align the postcard right along the stitching line between the two pieces just sewn together (A1 and A2) and the next piece A3. Fold back the paper against that postcard. Align the Add a Quarter (Inch) Ruler so the lip/edge of the ruler is snug against the postcard and trim to get a nice 1/4'' seam. You can also use the same ruler you typically use with your rotary cutter - just align the 1/4'' markings along where you folded back the paper. Now using a ruler, trim the A1-A2 unit to a 1/4'' between it and piece A3. This will make lining up the A3 piece easy. Then add A3, (the red piece in the photo below) and trim the seam line between A3 and A4. A4 is a background triangle. Here is what it should look like from the fabric side before you flip it over to sew. And from the paper side once you are ready to sew on the A4 line. And after A4 seam is sewn. Continue to build out your letter e.
Continue to press lightly with a finger presser or iron after each seam. When the letter is complete, press with iron and take to your cutting mat. Trim 1/4'' from the solid line which should be along the dashed line on the paper. Carefully remove the paper. The best way to do this is start by removing from the outside and move in - working backwards through the piece numbers. You can fold and crease at the seam and then pull it apart slowly. Using a small stitch length will make it easier to remove the paper. Download the paper piecing pattern for the letter e. Note this download has TWO (2) information pages before the actual paper piece pattern so only print the paper piece pattern on your special paper! You'll need five (5) e's overall in the quilt so print three (3) copies of the paper piece pattern. Each of the letter e blocks will be trimmed to 5 1/2 x 4 1/2 '' and will be 5 x 4 '' in the finished quilt. Very nice tutorial and your "e" is perfect :) You remind me of Vanna talking about how many "e"'s are in the quote, ha! Are those vowels we are buying? Hope your day is as beautiful as ours, just a perfect summer day! Great! I got started but didn't finish. Miscut the first one when it was complete. Rather than trashing it, it made an awesome coaster for a young friend, so I got kind of sidetracked! Looking forward to making the rest! I haven't pp in a long time, so it was fun! Thanks! Thank you so much for this QAL. I'm loving every second spent making the "e's" and looking forward to what's next.